Millions of tennis players regularly compete in sanctioned tournaments, leagues, or in local club events. Their families, friends, and teammates watch and want to know the score. 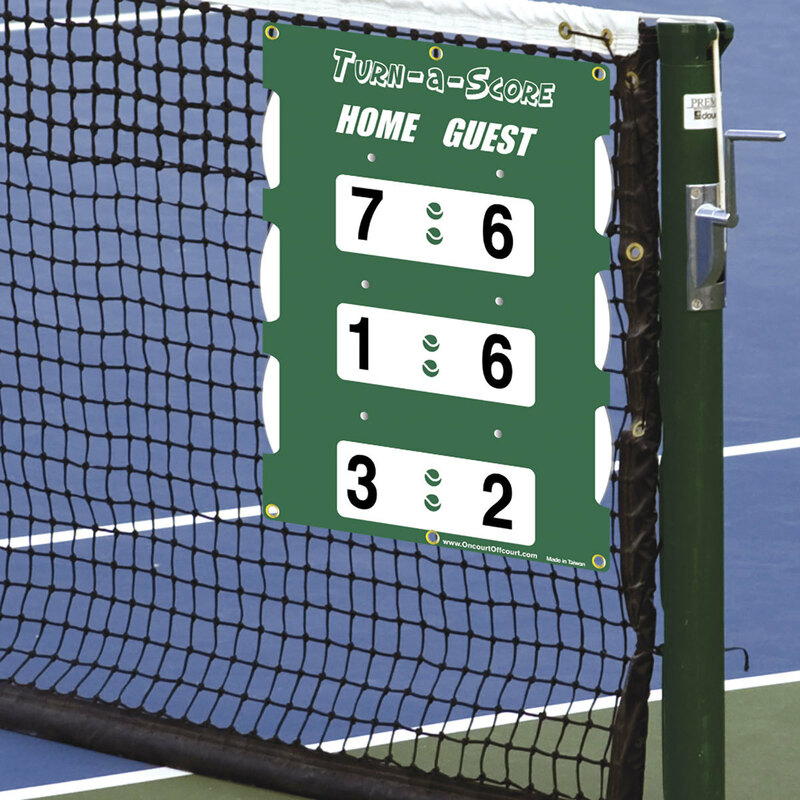 If you need a very affordable portable scorekeeper that’s easy to read, durable, and attaches to the net without tools. 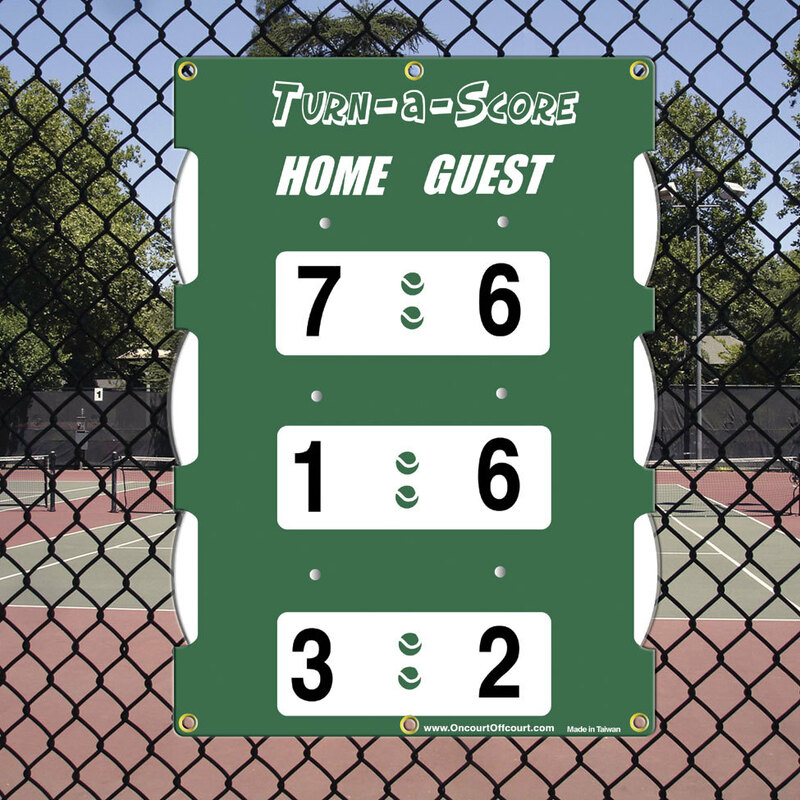 The unique design of the OnCourt OffCourt Turn-a-Score has been popular in Europe for many years. 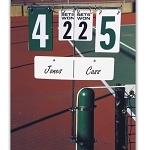 You can hang it on the fence or on the net (outside the doubles sideline) to allow viewers to follow the score of the match. Players just “dial” or turn the numbers to change the score. 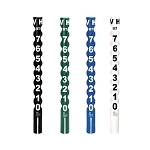 Each unit comes with 2 “S” hooks and 4 tie-wraps for either temporary or relatively permanent installation. Use the “S” hooks to hang the unit temporarily on the fence or net. Use the tie-wraps to secure the unit more permanently. Score can be read simultaneously on both sides of the unit. NOTE: Plastics will gradually fade over time in direct sunlight. 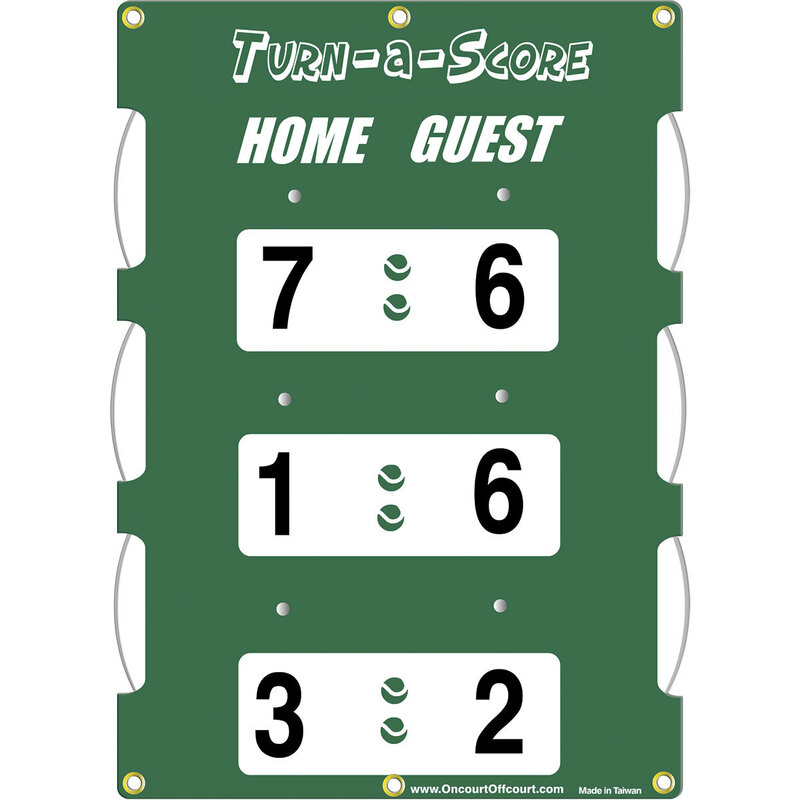 While the Turn-a-Score is UV coated to extend it's normal life, we will suggest storing the scorekeepers inside when not being used for competitive play.